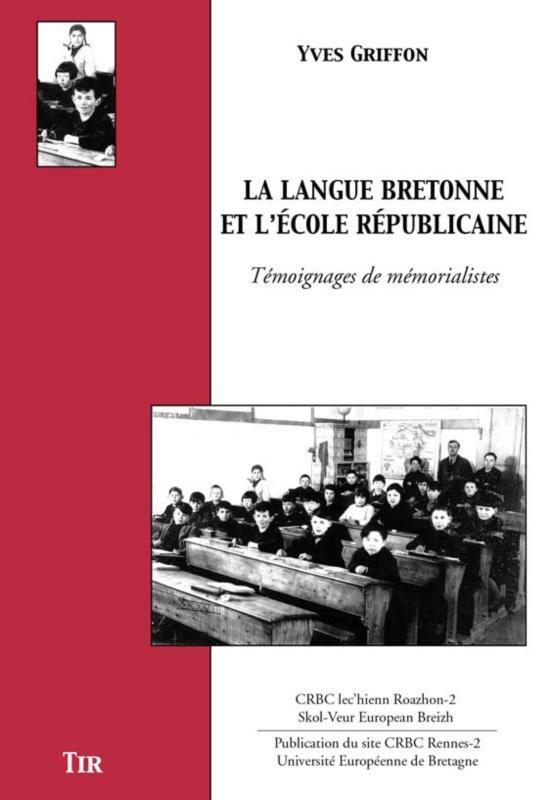 Since the 1895 publication of François Vallée’s book "The Breton Language and Schools", many other books and articles have dealt with the place of Breton in the French education system. Yves Griffon, himself a native speaker of Breton, started to study Breton at the University of Rennes 2 when he retired, and chose to return to the topic of the relationship between Breton and education for his university thesis, collecting and analysing many testimonies in the process. He carried on researching the subject until his sudden death at the end of 2005.